On the "Users" tab you can see a list of all the users currently registered on your website with details such as the registration date or the membership type. Here, you can also ban, unban or edit those respective user profiles. To edit a user simply check the tickbox and click on "Edit", there you can edit the user's profile details and change his membership. 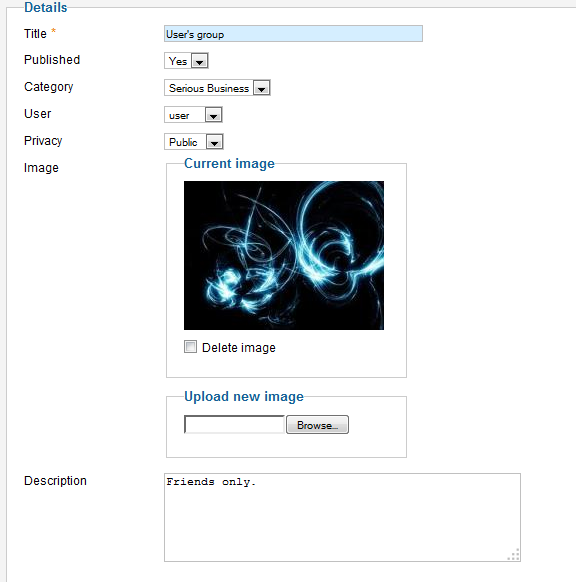 By clicking on "Edit profile" you can modify every detail related to the user, his name, location and more. On the Change membership area you can select a new membership for the user and set an end date, leave empty for unlimited. By going to the "Groups" tab you can view every group made and edit them or create new ones. Clicking on "Edit" will let you modify all the available details of the selected group like title, privacy or even change the owner of the group. 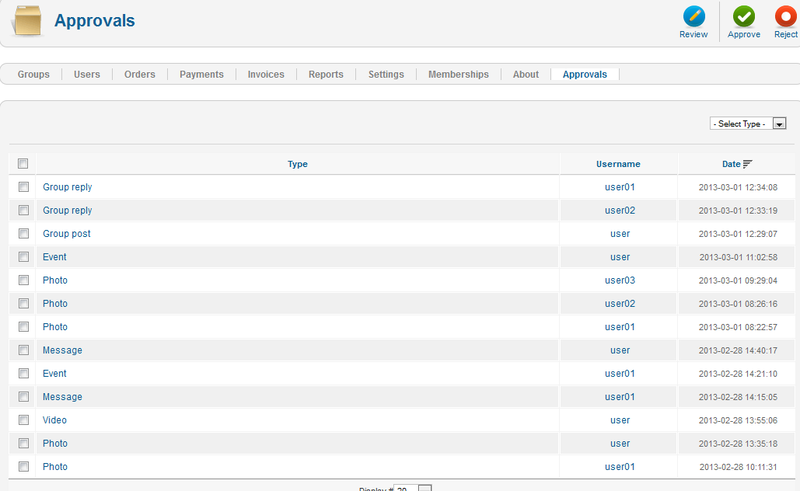 On the "Reports" tab you can verify all the reports that have been made by the users and take the appropriate measures. Reports can be made on profiles, messages or photos and videos. By clicking on the report you can see the details of it, who made the report, who is reported and the comment made regarding the report. Clicking on the Reported item will allow you to see the respective item before taking your decision. Sent at will show you the time & date of when the report was made. 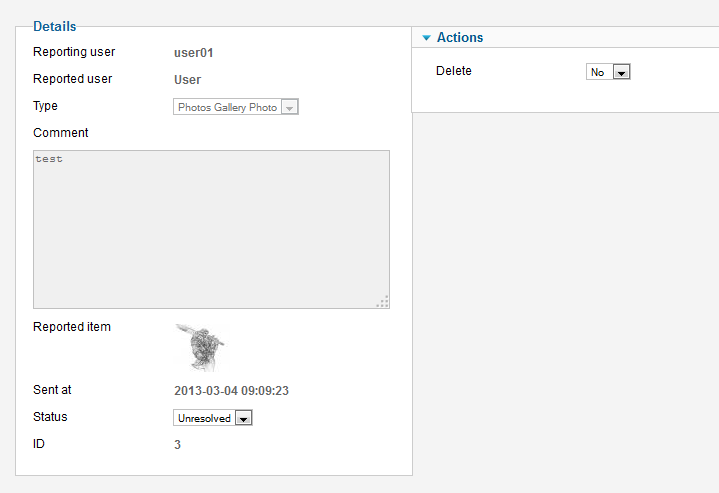 Here you can also toggle the Status of the report, from Unresolved to Resolved. On the right side of the page you can take the appropriate measures, for items like comments, photos or videos you can chose to delete the items and for profile reports you can choose to ban the respective user. Depending on what you have configured in the General Settings area, you will have to approve or reject different actions made by the users. For example if you set to approve photos, then any photo uploaded by the users will need your approval, to manage this go to the "Approvals" tab. To approve or not an item simply check the tickbox and click on "Approve" or "Reject". By clicking on one of them you will see the actual item that is pending to be approved.